What does a Podiatric Surgery? Podiatric surgeon - a specialist who performs surgery on the feet, ankles, calf injury after chronic diseases such as diabetes, injuries to the feet and ankles, and congenital malformations. 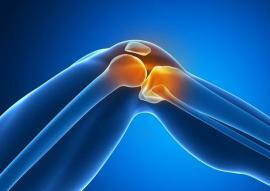 Repair trauma injuries (fractures, sprains, and torn tissue); and many other conditions. When a Surgery is Necessary? In some cases, foot problems do not respond to conservative, non-invasive treatments, and when pain or deformity persist, surgery may be necessary to alleviate your discomfort or to restore the function of a foot. Some surgeries are minimally invasive, performed in an outpatient hospital setting, and others require a hospital stay. Bunion (valgus) is the most common disease, especially in women. The pathology is accompanied by pain and deformities in the affected area. In the early stages is possible conservative therapy, but generally patients come in cases where surgery is needed. Surgery of the foot in valgus deformity of the 5th finger - is aimed at the restoration of normal anatomic ratio of structures, removing excess of bone tissue, eliminating the pain and deformation. Operation is selected taking into account the individual characteristics of the disease after carrying out of additional research methods. In the early stages of the disease can be eliminated is conservatively, but in advanced cases is performed the surgery. Surgery claw-shaped and a hammer-shaped deformation of fingers consists in resection of the protruding portions and the plastic tendons. The operation aims to eliminate pain and correct deformities. Heel pain, requiring surgical intervention, usually occurs when plantar fasciitis and heel spur. Plantar fasciitis is treated in a conservative manner, but in the absence of treatment at the site of inflammation are formed a calcium salts leading to the emergence the so-called heel spurs. Pain treatment in the heel is carried out using minimally invasive surgery - endoscopic fasciotomy. Ingrown nails are the result of improper care of the feet. Foot surgery at such pathology is aimed at removing the side of the nail, excision of the inflammatory tissue and plastic of the nail root, for prevention of recurrence of the disease. Morton's Neuroma - a benign neoplasm from a nerve tissue of the foot. Surgery of the neuroma consists in removing of neoplasm through a small incision with the use of modern methods of treatment - arthroscopy. For the successful outcome of the operation, Podiatric Surgery requires diagnostic examination before surgery that will help evaluate the state of your health (blood tests, urine tests, ECG, MRI, X-rays, blood flow studies, biomechanical expertise). The specifics of post-operative care depends on the type of surgery. Patients have to follow the strict rules in the recovery period. It is forbidden to engage in sports and is actively moving. Important as often as possible to visit a doctor - a surgeon. Contact your Podiatric surgeon if you experience any unexpected or unusual pain, discoloration, oozing, or bleeding.